Darryl Berry (Baildon) is the County Captain for 2019. The Yorkshire Union of Golf Clubs has confirmed the reappointment of Darryl Berry (Baildon) as the County Captain for 2019. Berry learned his golf in Bradford and was a regular in The Bradford & District Union Team first winning their boys championship before becoming men’s champion in 2003 and again in 2014. He played in forty five county matches for The Yorkshire Union between 1999 and 2014 and was a member of The Yorkshire Team that won The Daily Telegraph Northern League In 1999 and 2000. A member of The Yorkshire teams that won The Northern Counties Qualifier in consecutive years from 2000 to 2003, at Castletown, Ganton, Silloth and Sandiway respectively, his aggregate score of 135 at Sandiway (65+70) secured him the low individual prize. Berry represented Yorkshire at four English County Finals and was in the teams that were crowned Champions in 2001 at Burnham & Berrow and again at La Moye, Jersey in 2002 where he won all three of his singles matches. Yorkshire County Champion in 2002 and capped by England three times (v Finland, Germany and Spain) he turned professional in 2004 and until 2009 competed on The Euro-Pro Tour before regaining his amateur status. 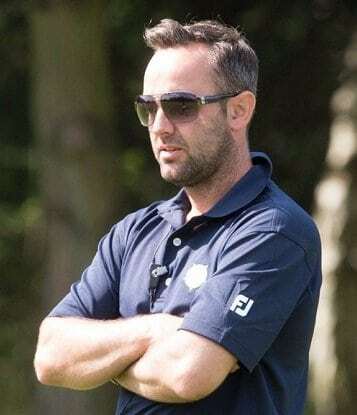 In 2013 Berry was appointed as County Captain since when he has led Yorkshire to four Northern Counties league titles and three English County Finals including victories at Sandwell Park, Birmingham in 2016 and most recently at Aldeburgh, Suffolk in 2018. Berry will step down as County Captain at the end of the 2019 season. It is hoped that a successor will be identified during the course of this year with a further announcement in due course.